To manually award an achievement please follow these steps. Go to Zunos Drive and open the Achievement of interest. Click the Users button beside the Achievement Level to show the list of users. Figure 1 below. 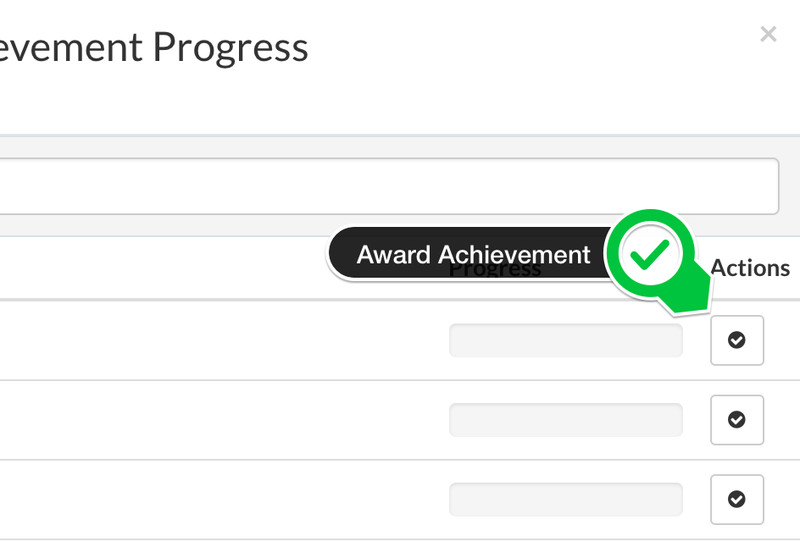 To award an achievement, search for the user in the list, then click the Award Achievement action button on the left. Figure 2 below.